Need Cash Now? Get a Signature Loan Today! If you can't wait until payday, you can get money when you need it at Joe's Pawn Shop. Our pawn shop in Albertville provides 30-day check loans and title pawns. We accept and give immediate cash for anything of value. Your loan will be quick, friendly, and completely confidential. 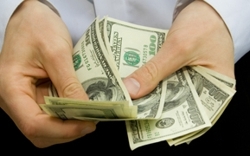 In addition, we offer check cashing services for many types of checks, from payday checks to personal checks. If you do not have a bank account, Joe's Pawn Shop can still help you with a loan as long as you own your vehicle. All you need is the title to your car or truck and we will give you the cash you need. Just bring us your clear title, proof of residence, a spare set of keys, and a valid form of identification. We accept any year, make, and model of vehicle! Call Joe's Pawn Shop today at (256) 279-9298 to see if you qualify for a loan.